Ethanol fireplaces have been drastically growing in popularity in North America as ethanol fuel is becoming the dominant source of energy. United States of America is the largest producer of ethanol fuel with being the main harvester of corn, wheat, and beetroots. With popularity and growth of ethanol, ethanol fireplaces have been born. There are a few different types of ethanol fireplaces such as wall mounted fireplaces, floor standing fireplaces and the most portable table top fireplaces. There are pros and cons with each type of fireplace. We will try to do our best to review bio ethanol fireplaces in general. Nothing is quiet more liberating and sets a statement more than a wall mounted ethanol fireplace. Weather a office or home atmosphere, an in wall fireplace will be a focal point piece of any room. Free standing ethanol fireplaces are extremely popular as they are very easily transported from room to room and also used as outdoor fireplaces on patios as firepits. In addition to portability, unlike the traditional wood burning fireplaces, ethanol fireplaces do not require any clean up of soot and are completely ventless. The uttermost in popularity; table top bio ethanol fireplaces which are also known as personal fireplaces or mini fireplaces have been replacing candles and tiki torches. Candle lovers cannot resist the beauty and versatility of a table top fireplace. 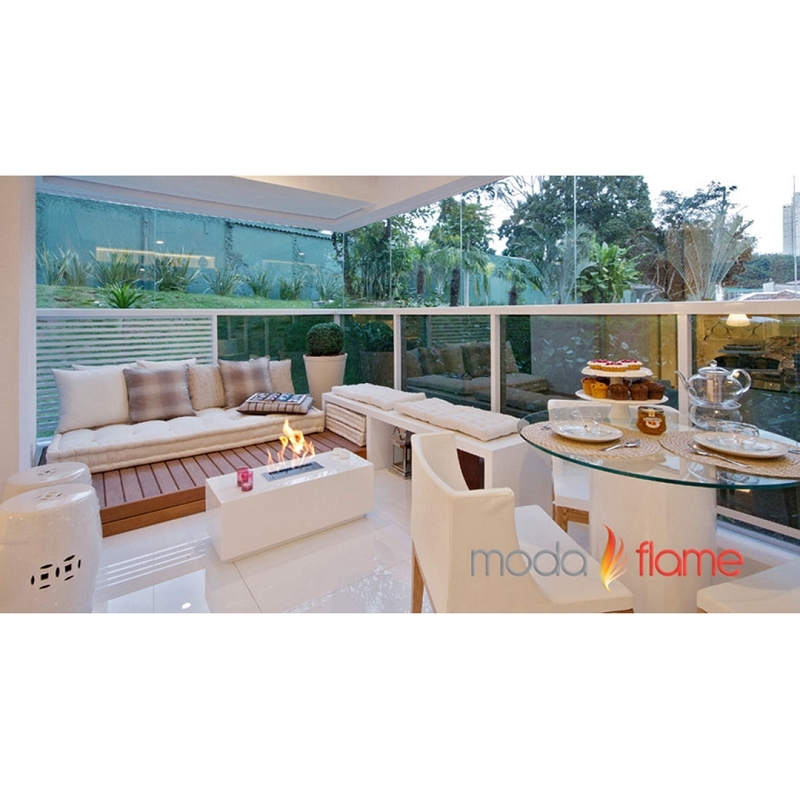 Tabletop ethanol fireplaces range in sizes but are all small enough to be placed virtually anywhere, indoors and out. They are small fireplaces that can be placed on coffee tables, dining tables, pool side or by a jacuzzi for a relaxing romantic setting. Most include a protective glass which can be considered as child safe. Especially a wall mounted ethanol fireplace. Can u roast marshmallows using the ethanol fire places?